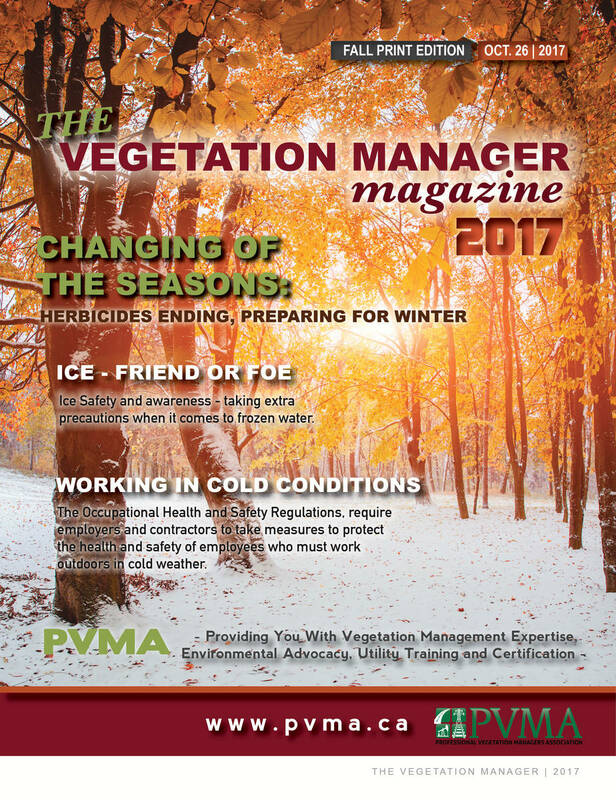 The October 2017 issue of The Vegetation Manager magazine is now available. If you would like to take advantage of our low advertising rates, we offer a 30% discount to advertisers who place an ad in all four issues, please contact the PVMA office. Deadline for the next issue is February 8, 2018.